At one time no self-respecting photographer would leave a lens unprotected without a skylight filter, and if they didn’t use a skylight filter then they would use a UV filter. But neither the 1A nor 1B guise is very popular nowadays, thanks to modern digital cameras. So why was the skylight filter invented in the first place? When colour film became popular, especially transparency film, a noticeable problem under some conditions was a blue cast that could detract from the overall colour of the picture. This is caused by blueish-coloured cold light, particularly in skies and clouds, hence the name ‘skylight’ filter, and also, for example, in shadows in snow scenes. The skylight filter is actually a very subtle magenta colour filter, with 1A filters being lighter in tint than 1B filters. Because of this it warms up cold-toned pictures. As a bonus, it also protects the front of the lens the skylight filter is attached to. If the filter takes the brunt of a knock or a scratch it can be replaced easily and cheaply, unlike a damaged lens. Some photographers still rely on the benefits of the skylight filter, even with digital cameras that are less susceptible to colour-balance imperfections. Although, truth be told, most value the physical protection of the front of their lenses thanks to its presence now, much more than the effect on colour balance. It’s also true that an increasing trend is to leave lenses naked – and it’s hard to argue with the reasons why. An optical filter saps a little of the light transmitted through it and even an anti-reflection coated filter will risk additional flare. It’s also argued that the added magenta hue can spoil natural skin tones. 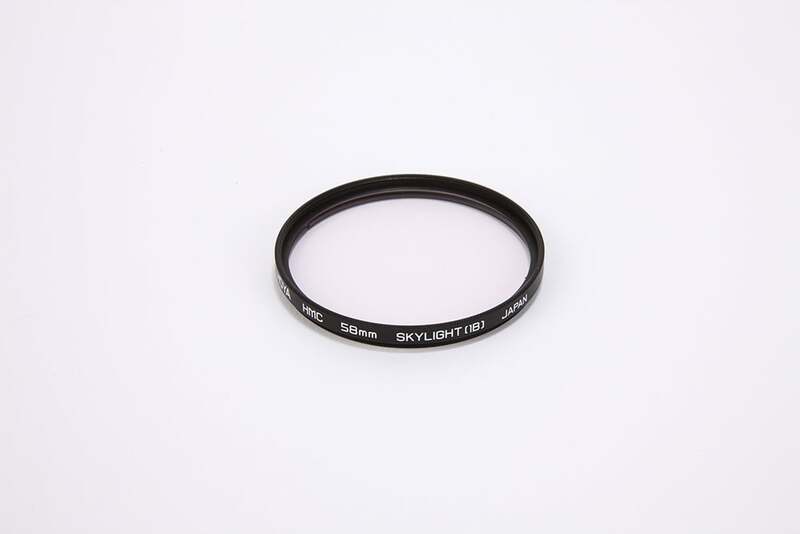 Nevertheless, skylight filters continue to be sold.